Shen Shaomin was born in 1956 in Heilongjiang Province, China. Shen Shaomin studies the explicit brutality of human nature through his multimedia work. Drawing from his innate conflict with the Anthropocene, Shen has created experimental, kinetic sculptures from animal bones that illustrate the consequences of human desire and artificiality. Meanwhile, his hyperreal, ‘sleeping’ sculptures of humans and animals reflect an ongoing dialogue between the real and the imaginary. In 2012, with the intent to strengthen inter-cultural relationships between Australia and China, Shen opened up his Beijing studio to young Australian artists for a residency and he continues to promote access to rising talents from both countries. His most current trompe l'oeil painting series borrow from Warholian studies of factory processes, where he paints portraits of celebrities covered with a light film of bubble wrap. 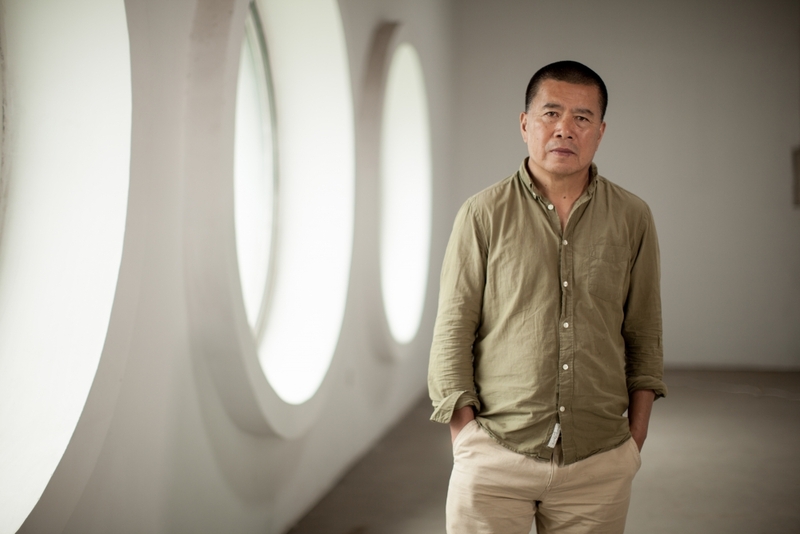 Shen Shaomin's solo exhibitions include There Is No Problem, Redtory Museum of Contemporary Art, Guangzhou, China (2015); So What, Breeze, White Box Museum of Art, Beijing, China (2014); The Day After Tomorrow, 4A Centre for Contemporary Asian Art, Sydney, Australia (2011); and Project No.1—Solo Exhibition of Shaomin SHEN, Today Art Museum, Beijing, China; and Transplantation, Asia-Australia Art Centre, Sydney, Australia (2001). Shen Shaomin's work has also been featured in renowned institutions worldwide including; Capital@Art.International, Ost-Stern, Frankfurt, Germany (2018); Fields of Communion - The 4th Shenzhen Public Sculpture Exhibition, Shenzhen Central Park, Shenzhen, China (2017); Almost There, Jorge B. Vargas Museum, UP Diliman, University of the Philippines Diliman, Quezon City, Philippines (2017); Busan Biennale, South Korea (2016); East Bridge 2015-2016: Plastic Garden, Korean & Chinese Contemporary Art, Total Museum of Contemporary Art, Seoul, South Korea (2016); Chinese Whispers: Recent Art from the Sigg and M+ Collections, Kunstmuseum Bern, Bern, Switzerland (2016); Immortal Present: Art and East Asia, Berkshire Museum, Pittsfield, MA (2015); Open Sea, Musée D’Art Contemporain, Lyon, France (2015); After Utopia: Revisiting the Ideal in Asian Contemporary Art, Singapore Art Museum, Singapore (2015); Go East, The Gene & Brian Sherman Contemporary Asian Art Collection, Art Gallery of New South Wales, Sydney, Australia (2015); St.art- International Exhibition of the Chinese Contemporary Ceramic Art, Today Art Museum, Beijing, China (2014); Serve the People, White Rabbit Collection, Sydney, Australia (2013); Hot Pot: A Taste of Contemporary Chinese Art, Brattleboro Museum and Art Center, Brattleboro, VT (2013); Go Figure! Contemporary Chinese Portraiture, National Portrait Gallery, Canberra, Australia (2012-2013), Sherman Contemporary Art Foundation (2012); Flora and Fauna: MAD about Nature, Museum of Arts and Design, New York, NY (2011); A Conversation with Chicago: Contemporary Sculptures from China, Millenium Park, Chicago, IL (2009); Shanghai MoCA Envisage II – Butterfly Dream, MoCA Shanghai, Shanghai, China (2006) and Mahjong – Contemporary Chinese Art from the Sigg Collection, Kunstmuseum Bern, Bern, Switzerland (2005), among many others. Shen Shaomin's work is included in the collections of museums and foundations including Art Gallery of New South Wales, Sydney, Australia; Beijing Shan Hai Art Museum, Beijing, China; Droga 8 Collection, Sydney, Australia; Heilongjiang Art Museum, Harbin, China; Honolulu Museum of Art, Honolulu, HI; M+ Sigg Collection, Hong Kong; Museum of Arts and Design, New York, NY; Queensland Art Gallery/Gallery of Modern Art, Brisbane, Australia; The Red Mansion Foundation, London UK; The Saatchi Gallery, London, UK; Sherman Contemporary Art Foundation, Sydney, Australia; Singapore Art Museum, Singapore; Today Art Museum, Beijing, China; White Rabbit Collection, Sydney, Australia and Redtory Museum of Contemporary Art, Guangzhou, China. In addition to many published books dedicated solely on the artwork of Shen Shaomin, The New York Times, Art Forum, and many other well known International media outlets have spotlighted Shen Shaomin and his works. Shen Shaomin works and lives in Beijing, China.